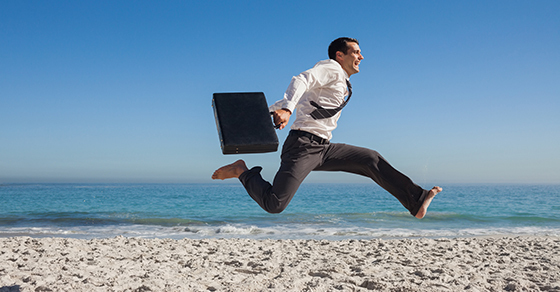 Can you deduct business travel when it's combined with a vacation? Business travel expenses are potentially deductible if the travel is within the United States and the expenses are “ordinary and necessary” and directly related to the business. (Foreign travel expenses may also be deductible, but stricter rules apply than are discussed here.) Currently, business owners and the self-employed are potentially eligible to deduct business travel expenses. Under the Tax Cuts and Jobs Act, employees can no longer deduct such expenses. The potential deductions discussed below assume that you’re a business owner or self-employed. What transportation costs can you deduct? Travel to and from your departure airport, airfare, baggage fees, tips, cabs, etc. Costs for rail travel or driving your personal car are also eligible. Once at the destination, your out-of-pocket expenses for business days are fully deductible. Examples of these expenses include lodging, meals (subject to the 50% disallowance rule), seminar and convention fees, and cab fare. Expenses for personal days aren’t deductible. Keep in mind that only expenses for yourself are deductible. You can’t deduct expenses for family members traveling with you — unless they’re employees of your business and traveling for a bona fide business purpose. Be sure to accumulate proof of the business nature of your trip and keep it with your tax records. For example, if your trip is made to attend client meetings, log everything on your daily planner and copy the pages for your tax file. If you attend a convention or seminar, keep the program and take notes to show you attended the sessions. You also must properly substantiate all of the expenses you’re deducting. Additional rules and limits apply to the travel expense deduction. Please contact us if you have questions.